Milton-Union Schools Food Service works with the Point of Sale (POS) Program. This system will allow you to pay in advance for meals and/or ala carte foods (juice drinks, ice cream, cookies, etc.) if you choose to do so. Students will still be able to pay cash on a daily basis as they have in the past. The system works with a twelve key PIN pad located at the end of the serving line that is similar to an automated teller machine (ATM). It will allow your son or daughter to swipe their personal identification number (Student ID card) to access their account. Please note that this system is very confidential. All students will be required to swipe their card regardless of the meal status or payment method, thus insuring your child’s privacy. All students will have an established debit account, although you will not be required to make advanced payments because the system has the ability to act as a cash register and can accept cash payments on a daily basis. To prevent fraudulent use of student accounts, each register will have your child’s digital image that will appear on the monitor for the cashier to view every time your child accesses his or her account, thereby insuring that no other student can use your child’s account. Money will be deducted from an account when the student uses the account to purchase meals and/or ala carte items. The system will know the meal status of your student (full-pay, free, or reduced) and will deduct the correct amount from the account. There is no limit on the amount of money that can be deposited into the debit account. CASH ON ACCOUNT – A cash account is created by making a payment of a certain dollar amount ($5.00, $10.00, $20.00, etc) to the cafeteria. 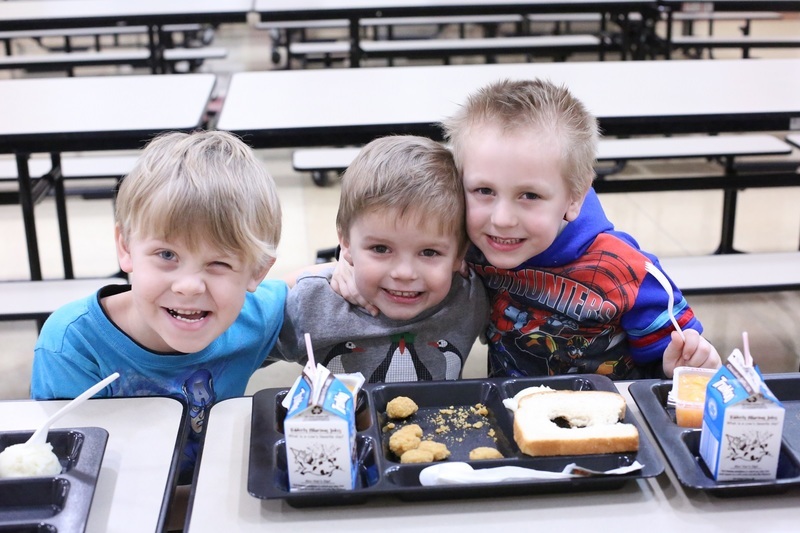 These funds, which can be either cash or check, are then deposited into your son or daughter’s debit account and are available to your child when purchasing meals and/or ala carte foods in the cafeteria. The account balance simply decreases as purchases take place. Parents have the ability to specify that students buy “meals only” or other dietary restrictions such as “lactose intolerant” which will be stated on the monitor when the account is accessed. If you are going to pre-pay simply put the check made payable to Milton-Union Schools in an envelope with your child’s name, grade and teacher's name on the outside of the envelope. If you are paying for more than one student in the same school with one payment, please note the amount that is to be designated to each student’s account. If you do not specify, the deposit money will be divided equally between siblings’ accounts. Thank you for your participation in the Point of Sale Program.